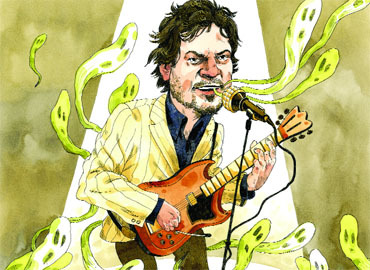 Paste Magazine has a great interview with Jeff Tweedy by Bud Scoppa. "One of the things that people have said about our last few records, a lot, is that they’re experimental and weird, and we don’t feel that way at all." "I always kinda think of it as the mist evaporating, and it becomes a lot clearer that we were put on this earth to play rock music and jump around and act like idiots."